If you are ready to reduce your carbon footprint, save money on fuel costs, and join the hybrid car movement, then you should check out the 2016 Toyota Prius. 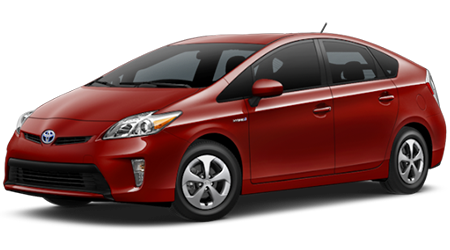 The original hybrid vehicle, the Prius has been changing the way people think about hybrid vehicles for over a decade, and Pat Lobb’s Toyota of McKinney has the entire Prius lineup for you to browse. Come see us at our Toyota dealership in McKinney today, we are conveniently located to serve drivers from Dallas, Frisco, Plano, Richardson, Allen, and Prosper, TX. The 2016 Prius goes head-to-head with the Chevrolet Volt – and comes out on top! First things first, you want to know about price. The 2016 Prius starts at $24,200 MSRP while the Volt already starts to fall behind with an MSRP starting at $25,670. Looking for a higher trim? You will appreciate that, even in its highest Three Touring trim, the 2016 Prius still costs less than the Volt’s highest trim; MSRP for the Touring Three is $28,100 versus the Volt Premier’s $37,520 MSRP. With the Toyota Prius, you get more car for less money; the Prius also offers four trims compared to the Volt’s two, which allows you to configure your vehicle to perfectly fit your budget without compromising. The next thing hybrid drivers want is efficient, Earth-friendly performance. The Toyota Prius has that, earning up to 58 mpg city, 53 mpg highway, 56 mpg combined city/highway in EPA tests. 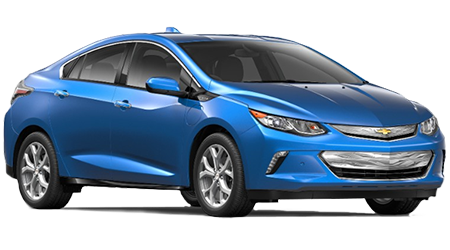 The Chevrolet Volt returns only 43 mpg in the city and 42 mpg on the highway (that’s still just 42 mpg for combined driving). The Prius also has a 11.8-gallon fuel tank compared to the Volt’s 8.9-gallon tank; looks like you will be seeing far more of the gas station if you choose the Volt. Prius wins again. Hybrid lovers and converts rejoice, the 2016 Toyota Prius makes driving a fuel-smart vehicle a great choice that will make you and your wallet happy. Come and see the 2016 Prius at Pat Lobb’s Toyota of McKinney today, we are only a short trip from anywhere in the Dallas/Fort Worth Metroplex area!